Skin darkening is common problem. Many people suffer with this due to genetic reasons right from birth and many acquire later due to poor care of skin or too much time in the Sun. Skin has dark shade due to melanin secretion which is protective fluid secreted by cells to repel UV rays. But this fluid along with protection also makes skin’s shade darker. 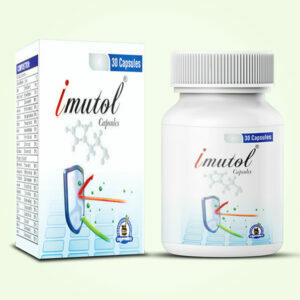 There are natural remedies which are safe and effective in reversing this process. These remedies exfoliate skin faster and also speed-up generation of new cells. Body’s skin is not just one layer, it comprises of three layers and lower layers keep on transferring new cells to upper skin as death rate of cells in upper layer of skin is highest and rapid. New cells have low or no melanin. When old cells with melanin content get replaced by fresh cells without any melanin skin’s shade improves in no time. Along with this natural remedies even improve shade of skin by promoting flow of blood, keeping it hydrated and nourished. These natural agents are selected to make homemade face mask for glowing skin which work for people of all ages and all skin types. Here we have listed few amazingly beneficial homemade face masks for glowing skin which are easy to use and reliable. Cucumber and lemon both are wonderful in treating skin darkening. The juices of these veggies exfoliate, nourish and cleanse skin to improve its shade, remove spots and marks, and control excessively dry or oily skin condition. Take one medium sized piece of cucumber and peel it off, cut it onto thin slices and add to a blender, extract its juice out. Squeeze one lemon and collect its juice too. Add one tablespoon of cucumber juice and one teaspoon each of lemon juice, turmeric powder and if you have dry skin then one teaspoon of vegetable glycerine. Mix all the ingredients well and wash your face with soap thoroughly, wipe the skin dry and apply this paste massaging the skin. Cover entire face and leave it on for 15 minutes. Wash off with plain water and repeat few times in a week for few weeks to gain shiny, clear, softer and radiant skin. This one is perhaps one of the oldest recipes for homemade face mask for glowing skin. 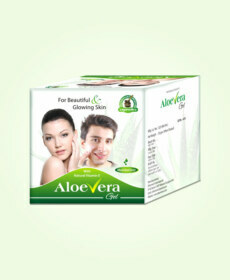 This is beneficial for keeping skin healthy and free from skin problems too. Take one tablespoon of gram flour, add one teaspoon each of lime juice and turmeric, mix all the ingredients you will get a very thick or rough paste. Add some rose water just enough to make paste smooth, do not make it too smooth, just enough to apply evenly. Now massage skin with gentle pressure and coat entire face leaving eyebrows, eyes and ears with it and relax for 25 minutes. Wash off with plain water later and repeat as frequently as possible for few weeks to gain lighter shade of skin in a short time. Banana is nutritious and it is nutritious for skin as well. Banana face masks are popular for healthy and charming skin. Take one ripe banana pulp cut into half and add one half of it to a bowl. Break open one egg and empty its content in the bowl containing banana pulp add one teaspoon of curd sour the better and mix all the ingredients well. Now apply after cleaning the face and wiping the skin dry. Massage the paste into skin for few minutes and leave it for 15 to 20 minutes. Later wash off with water or lukewarm water and repeat frequently. In a short duration it will provide much improved shade of skin. 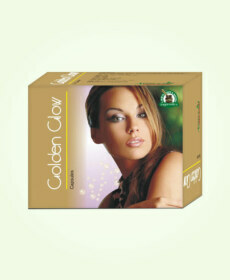 Here is another very effective and reliable face mask for glowing skin. Prepare a cup of chamomile tea, make it concentrated and allow it to cool down. Add one tablespoon of oatmeal powder and let the mixture sit till oatmeal absorbs the tea to some extent. Later add 2 tablespoons of honey and 2 to 3 drops of almond oil. Whisk entire mixture till you get a smooth paste. Clean your face and dry your skin completely and apply this paste with gentle massage. Wait for 15 minutes or more and wash off. You will get a considerable improvement in shade of skin in a short time. 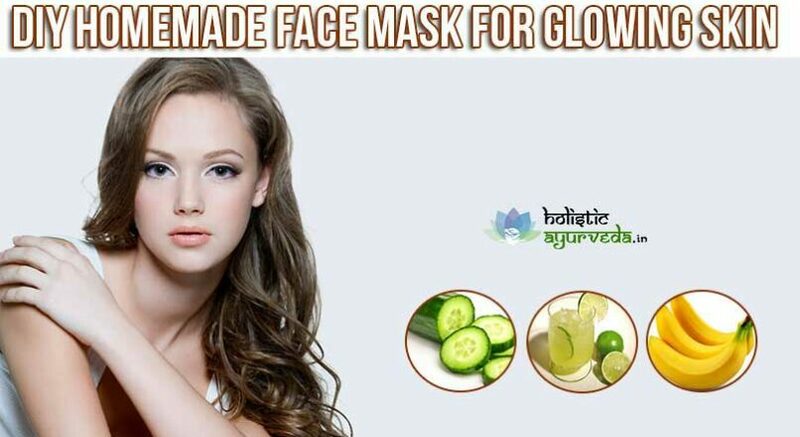 There is another recipe to make homemade face mask for glowing skin using cucumber. Take one cucumber and extract its juice out as mentioned above. Collect two tablespoons of cucumber juice. Extract watermelon juice too and add two tablespoons of watermelon juice to cucumber juice and mix. Now add one teaspoon of yoghurt and one teaspoon of whole milk powder and mix all the ingredients well to get a smooth paste. Apply this over clean face and leave it for 20 to 30 minutes. Let the fruit juices get absorbed in the skin and wash off with plain water later. Repeat this few times in a week for few weeks regularly to gain shiny and fairer skin.